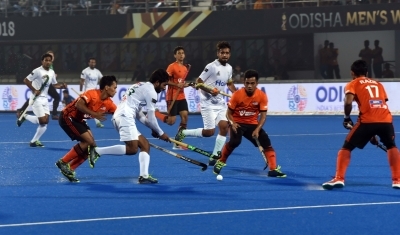 Bhubaneswar, Dec 6 (IANS) The Pakistan team may not have put up an impressive show in the ongoing men's hockey World Cup so far, but the players are winning the hearts of fans on a different platform. He sang the Bollywood song 'Dil Diyan Gallan' of film Salman Khan-starrer Tiger Zinda Hai. "We love the crowd. We are happy to be here. It's incredible to play here," said Billy Bakker, the Netherlands team captain. Later, the German team visited Odisha Police stall at the Fan Village. They were accorded a rousing welcome in the presence of DGP R.P.Sharma.